Born into a big military family — the third of seven children — and caring for her household and younger siblings by the age of nine, Marjorie never had dreams of a partner, 2.5 kids, and a picket fence. It was friendship and circumstance that led her to motherhood and a daughter she loves as her own. Marjorie met Brenda when they were both working for a garment manufacturer in Los Angeles and the two developed a friendship that would last a lifetime, even when Marjorie moved across the country to Washington, DC. Brenda had her only child, Lindsay, shortly after Marjorie relocated. While Marjorie and Brenda remained close over the years, the distance kept Marjorie from building a strong relationship with Lindsay. Marjorie was never considered part of Lindsay’s extended family. “[Brenda] was Guatemalan, and she had a very close extended family. Brenda and Lindsay lived with Brenda’s mom after Brenda’s divorce. Also, Lindsay had two cousins that were just a little bit older than she and they grew up together.” Marjorie’s chance to get to know Lindsay better came through Brenda’s tragic diagnosis with ovarian cancer in 2004. By the age of sixteen, Lindsay had lost her mother and grandmother in addition to her father, who died when she was just six. Becoming a legal guardian isn’t automatic. While the legal proceedings to become guardian were taking place, Marjorie agreed to Lindsay’s wishes to be with the neighbors. Although Marjorie was designated in Brenda’s will to become Lindsay’s guardian, the court still had to approve it. At this point, Marjorie and Lindsay lived in different cities and Marjorie would visit Lindsay every few weeks to check in on her. While Marjorie’s path to parenting is less typical, and is called into question because representation of Black adults parenting non-Black children is rare, she is clear that she is a mother. Marjorie’s friends of color are more understanding of the relationship between her and Lindsay. 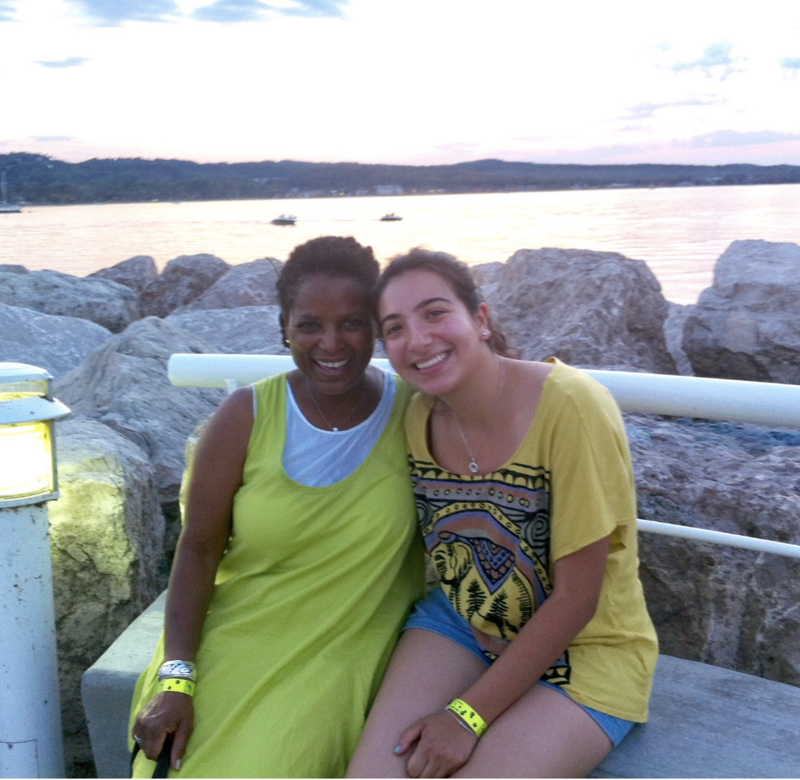 “What I say is, ‘I have a daughter from another mother.’ My African-American [and women of color] friends and my parents will always say, ‘How is your daughter?’ My white friends, they always say, ‘What is her name?’ They don’t have a way of describing this relationship.” Marjorie’s experience speaks to the way people of color are more often accustomed to various ways of creating and navigating family. This piece was originally published in September 2017 as part of Family Story’s All Our Families story-telling project. Family Story is a project of New Venture Fund, a 501(c)3 registered charity.